What’s the first thing that pops into your mind when someone mentions Amsterdam? Oh. I see. OK, what’s the second thing you associate with Amsterdam? Yes, that’s more like it, tulips! This famous flower has been associated with the Netherlands since the 16th century, when it was first imported from Turkey (the bulbs even became a form of currency when Holland succumbed to ‘tulip fever’, the dotcom boom of its day). Nowadays the opportunity to see Amsterdam in full bloom brings in millions of tourists each year – but when is the best time to visit, and how can you do it by cruise ship? As with the cherry blossom season in Japan, there is no strict timetable for Holland’s tulips (flowers are temperamental things, after all). All we can say is that full bloom usually falls between mid-March and mid-May, with April being the most likely month for peak tulip. You’ll need good weather to see them at their best but that, sadly, can’t be relied upon (the Dutch say April doet wat hij wil, meaning April does as it pleases). So although it’s nice to think of yourself strolling the bulb fields in a T-shirt, you’d be smart to bring umbrellas, waterproofs and a warm layer or two, just in case. 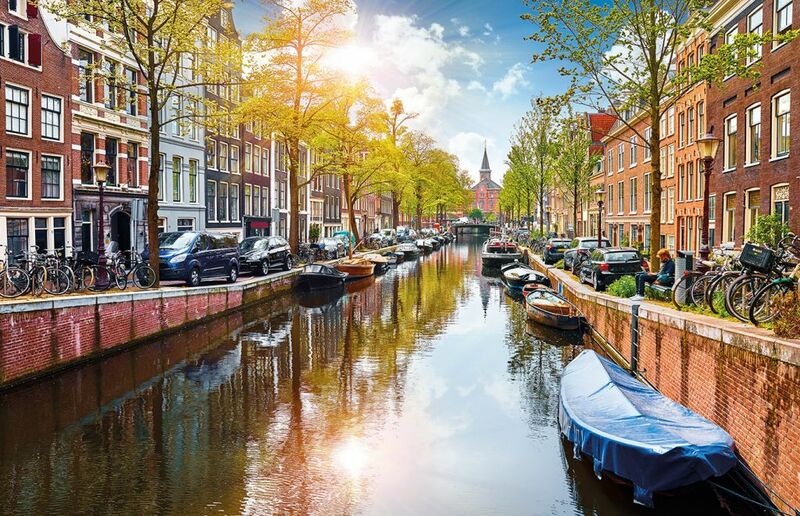 Cruise ships sail to Amsterdam throughout the year, and it’s a popular short-break destination from a range of UK ports, so prices are very reasonable. One thing to keep in mind, however, is that earlier this year the city of Amsterdam imposed a daily €8 tax for all visiting ocean-cruise passengers – a move that (to put it mildly) didn’t go down well with the cruise industry. Although threats to cancel large numbers of sailings never quite materialised, don’t be surprised if there are fewer cruise ships in town than you’d imagined when planning your trip. Alternatively, keep things simple and take a river cruise. 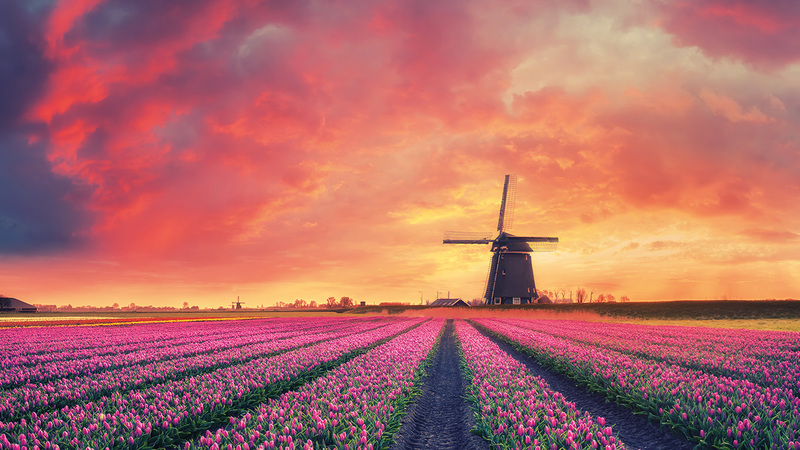 More and more lines are offering itineraries on the Dutch waterways, and these sedate journeys will take you into the heart of many of the most popular floral destinations. Simply stroll among the streets and canals of Amsterdam and you’re bound to come across a crop of tulips growing somewhere (especially since the citywide Tulip Festival decrees that there should be one tulip for every Amsterdammer – that’s over 800,000). But if you’re looking for a more structured experience then you’ll want to head to the home of tulips, the Keukenhof Gardens. 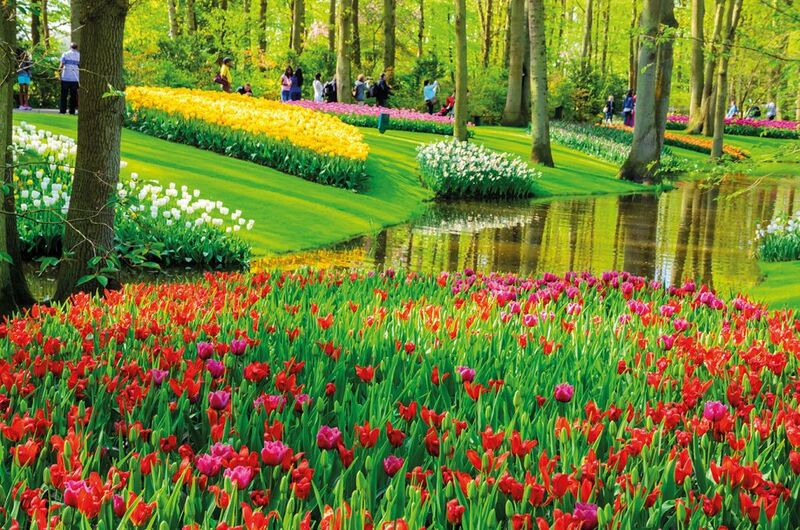 Located just outside the city in the town of Lisse – and easily reachable on a cruise-ship excursion or independently by train – Keukenhof extends over 80 acres with more than seven million blooms, making it the largest flower garden in the world. You’ll be amazed how many varieties of tulip there are, and the striking combination of colours has to be seen to be believed. Open between March and May, it’s an absolute must-see in high season. Tulip mania got you in its grip? Hop on your bike (the traditional Dutch way of travelling anywhere on this flat landscape) and cycle to the famous Flower Strip that stretches for 25 miles between Haarlem and Leiden. There’s no need to do all of it – you have a ship to catch, after all – but even pedalling for just a couple of miles will give you a sense of this peaceful, tranquil and colourful trail (make sure you hop off and go for a walk between the rows). Fancy a less strenuous journey? There’s no shortage of public transport links between the strip and Amsterdam, so catch a bus if you’re pressed for time. Should you find yourself in the area on 25 April 2020 (you could make it to the 2019 version at a push), you might catch a glimpse of the Bloemencorso Bollenstreek (Flower Parade), an eye-popping demonstration of Dutch petal power during which crowds line the streets on a 20-mile stretch between Noordwijk and Haarlem to see flower-laden floats wind their way slowly along. If a tight schedule keeps you in Amsterdam itself, you’ll be glad to know that the city has plenty of museums and attractions to keep even the most avid flower-lover occupied. With time to visit just one, make it the Amsterdam Tulip Museum, which is located in the Jordaan district, near to Anne Frank’s house. Here you’ll find six interconnected rooms dedicated to exploring the history of the flower, from its Asian roots to its current place in Dutch culture, as well as some pretty outlandish examples on display in the aptly named ‘Cabinet of Curiosities’. Happy to travel for a culture hit? Head back to Lisse (unless you’re already there for Keukenhof) and visit the Museum de Zwarte Tulp, where you’ll see how generations of artists have tried to capture the beauty of the tulip on canvas. 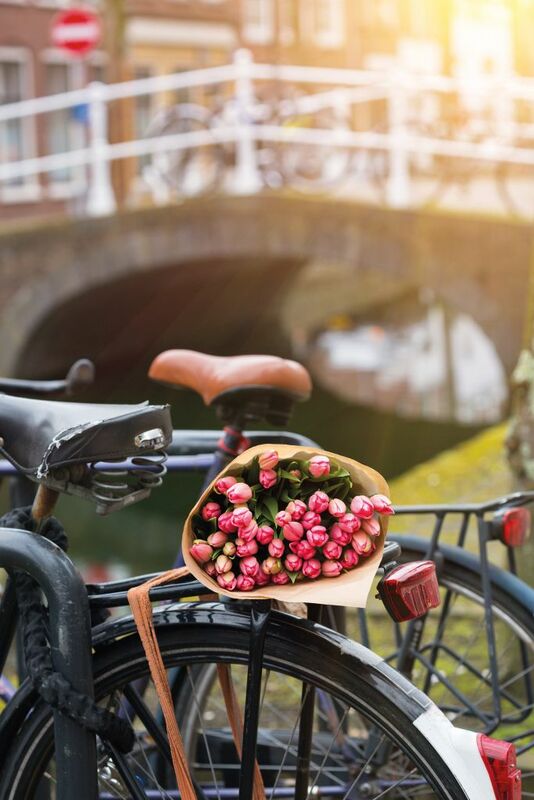 Finally, you won’t want to leave Amsterdam without a souvenir, so make sure you visit one of the city’s many markets – especially the delightful floating flower market on the Singel Canal – to pick up a bouquet for home.